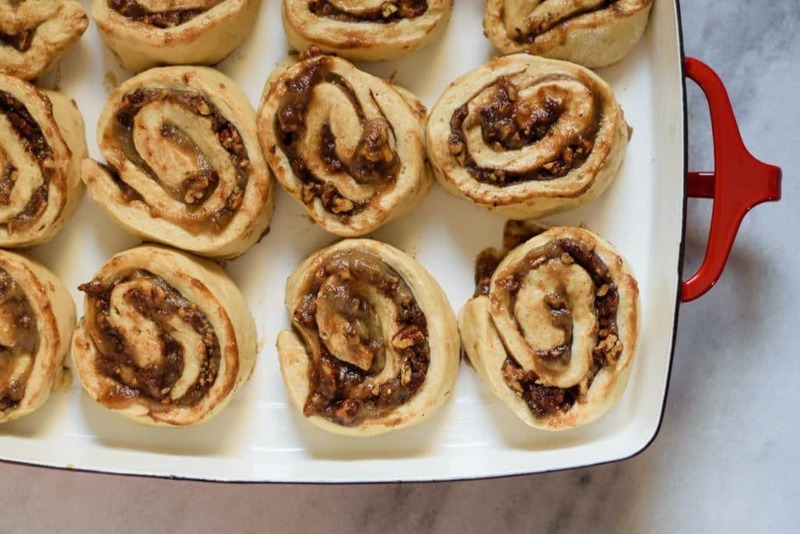 If you like apples, cinnamon, and fall you have got to try these vegan apple pecan cinnamon buns. 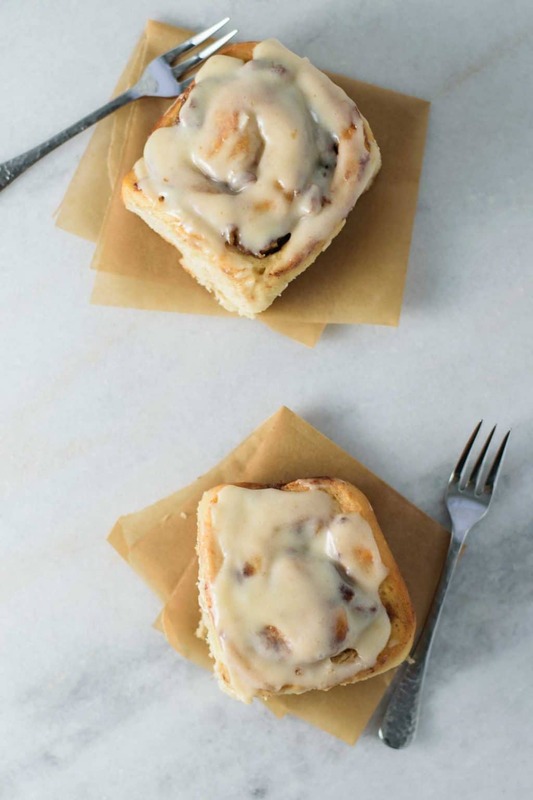 Smothered with an apple butter cream cheese icing, they are the cinnamon buns of your dreams. Soft and pillow dough that requires only three minutes of kneading? 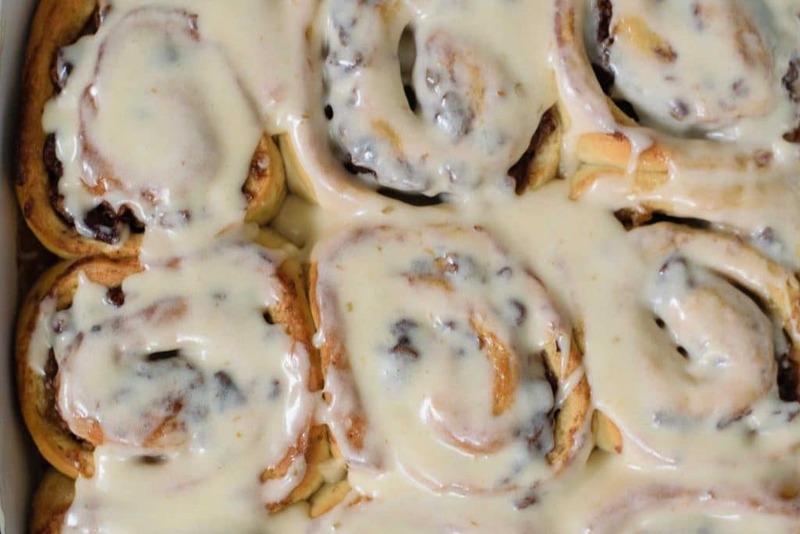 Well, they’re the cinnamon buns of my dreams too. The dough has just a single 1-hour (or less if your kitchen is warm!) rise before shaping, meaning the buns are ready for the oven in just about an hour and a half. 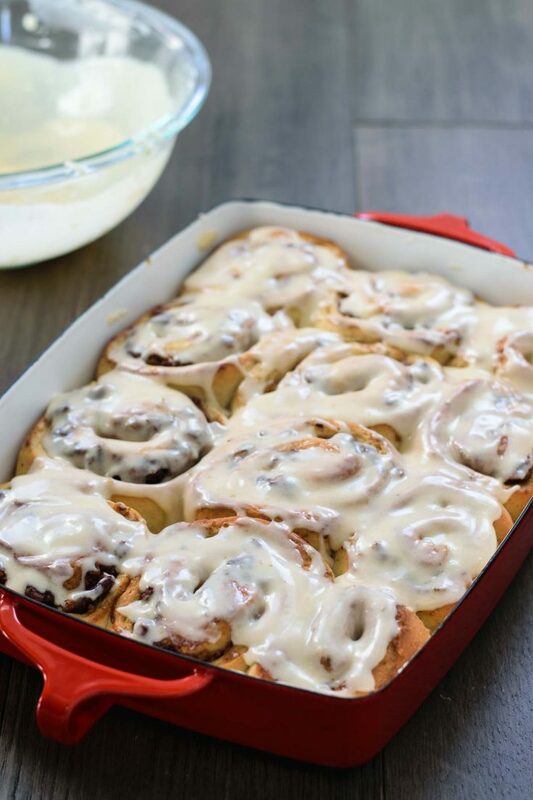 You can have cinnamon buns in just over 2 hours! Crazy, right? I love making homemade bread in all it’s forms. But I know a lot of people find bread and working with dough intimidating. 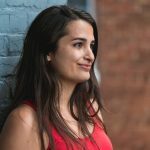 So here’s another call from me to you–don’t be! Along with the sweet potato rolls a couple weeks ago, these cinnamon buns are made from a pretty traditional dough that happens to require very little kneading! Kneading is a mechanical process that develops the protein (gluten) network of wheat flour. The strands of gluten swell and lengthen when wet, and transition from more or less random directions to a scaffolding network. This network traps air when the dough is transferred to a preheated oven, and when air is heated, it expands. Trapped in the protein network, this causes the dough to rise. There are other methods besides kneading that achieve this, and I use them in my pizza doughs and my artisan bread making. When it comes to these cinnamon buns and those sweet potato rolls, we need to reach a balance between developing the protein network (through kneading), and working the dough as little as possible for a tender finished product. Just about 3 minutes of kneading is the sweet spot. It’s enough to turn the dough from a shaggy mess to a cohesive and relatively smooth ball of dough. There’s enough sugar in the dough, from both added sugar and the apple butter, along with a generous addition of yeast for it to quickly proliferate. Which means, you achieve your full rise in 45 minutes to an hour (maybe longer if your kitchen is very cold, but, in that case you could let it rise in the cold oven with the light on). The filling is on the sloppier side, with apple butter and pecans threatening to leak out at at every turn. But stick with it, it’s a bit of a sloppy mess to shape, but once baked the buns are beautiful. Bits of pecan peeking out between the layers, and the deep golden hues of the caramelized apple butter. The cream cheese icing is the perfect accompaniment. 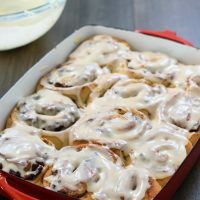 The apple flavored icing is easy to whip together and generously coats all the nooks and crannies of the cinnamon buns. In the end you have a delicious, sticky, and soft bun. You’ll be sad when they’re all gone! Luckily, they’re quite simple to make! 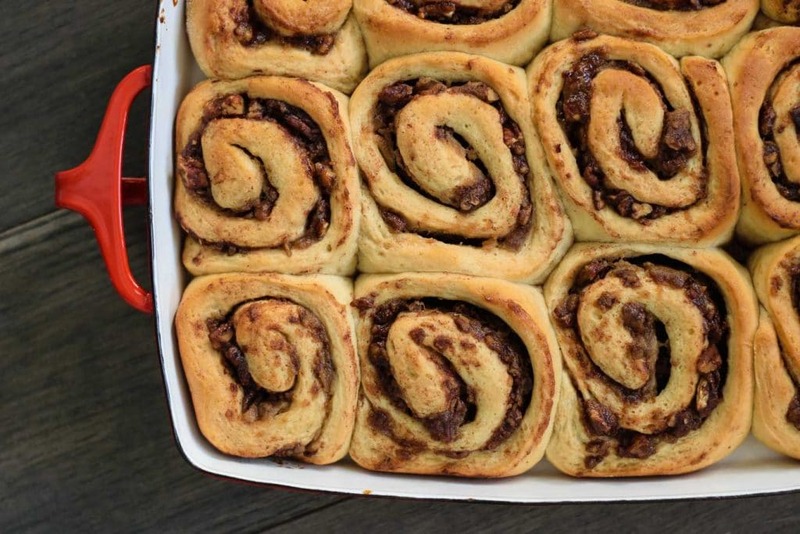 The oversized puffy rolls come out of the oven smelling of cinnamon, apple, and pecans. Luckily they’re so great when eaten warm, and you only need them to cool for maybe 15 minutes (10 if you NEED them now) before slathering over the apple butter cream cheese icing. If you’re eating leftovers (if there are any), I highly recommending reheating them in the microwave for just 20-30 seconds until the buns are warm and the icing turns melty. I hope you guys enjoy these rolls as much as we do. They’re so good! Let me know if you give this recipe a try. Leave a comment and/or rate the recipe below, tag me on Instagram (#thecuriouschickpea), or share with me on Facebook! Happy baking! 1) As soon as you’ve mixed together and kneaded the dough, cover and place immediately in fridge for a slow, overnight rise. 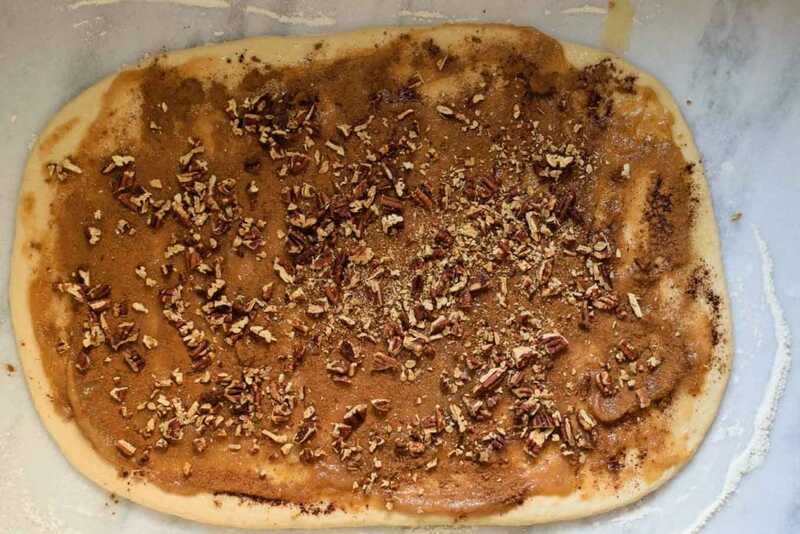 You will need to let the dough warm up to room temperature and relax to be able to roll it out thinly the next morning. 2) Once you shape your buns and place them into the baking dish, cover tightly and place in fridge to rise overnight. Bake straight from the refrigerator the next morning. You can use a homemade apple butter, or a store bought recipe. The icing is optional but I highly recommend it! These oversized cinnamon buns are stuffed full of homemade apple butter and chopped toasted pecans. They're the perfect autumn treat! In a large mixing bowl whisk together the flour, salt, and sugar. Pour the warm milk and cider into a second mixing bowl and sprinkle the yeast over it. Let sit for a couple of minutes to hydrate and dissolve the yeast. Add the melted butter (cooled slightly so it doesn't kill the yeast) and apple butter and whisk the liquids until smooth. The yeast should be a bit foamy by this point. Pour the liquids into the dry ingredients and mix with a wooden spoon to form a shaggy dough. Turn onto a clean, floured counter and knead to form a smooth ball, 2-3 minutes. Add more flour if necessary until the dough is tacky but not sticky. Place the dough ball into an oiled bowl, turning to coat. Cover the bowl and let rise at room temperature 45 minutes - 1 hour until doubled in size. Gently ease the dough onto a clean and floured counter. Roll into a thin rectangle, 18" wide and about 12" deep. Brush about 2 tablespoons of the melted butter in a thin layer over the dough. Then, spread the apple butter to cover. Sprinkle the sugar on evenly over the apple butter, then dust on the cinnamon. Distribute the chopped pecans. 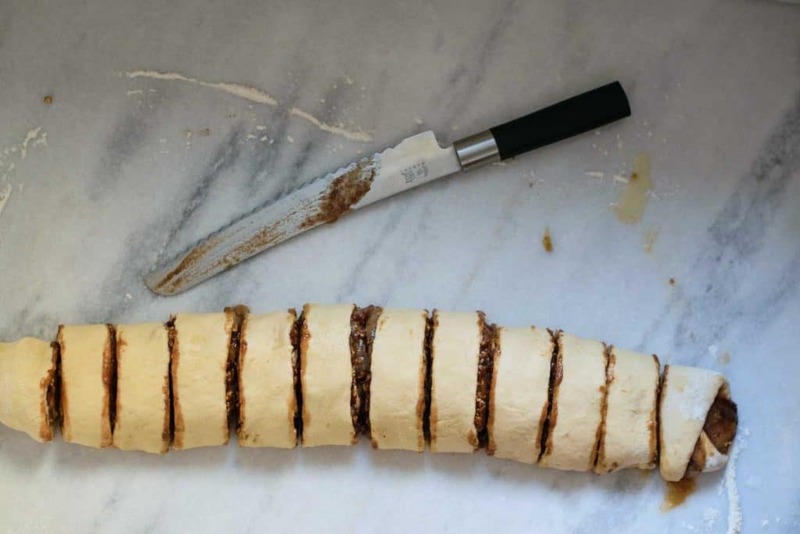 Roll the dough away from you to form a long log. Cut the roll into 12 segments, ~1 1/2" thick, using a bread knife. Apply as little pressure as possible and use a sawing motion to cut the roll without smashing it. Grease a large 9 x 13" baking dish with butter. Place the individual rolls into the baking dish, leaving space between each roll. Brush the tops of the rolls with the remaining 1 tbsp of melted butter and cover with plastic wrap. Preheat the oven to 350 ºF and let the buns rise for 30 minutes while the oven preheats. They'll be ready when they have increased in size and are pressing against each other. Bake for 36-40 minutes or until rolls are golden. Remove them from oven and let them cool for 15 minutes. In a mixing bowl whisk together the cream cheese and melted butter until smooth. You can use a fork or electric beaters. Add the powdered sugar and vanilla extract and beat until smooth. Then whisk in the apple butter. Spread the apple cream cheese frosting over the rolls and enjoy warm! Leftover rolls can be reheated in the microwave for the softest and most delicious eating experience.